Style, comfort and functionality - how do you get all that in one garment? Order Canterbury’s VapoDri+ Drill Tee to take your training performance to a whole new level. Look your best while you train your best in Canterbury’s VapoDri+ Drill Tee. This stylish tee features high-performance fabrication and a modern Digi-Marl texture for a great look that doesn’t compromise on functionality. VapoDri+ adaptive technology reacts to your changing body temperature, keeping you regulated and free to focus on your performance. Forward facing side seams also ensure greater ease of movement during your workout, and the low profile, dipped crew collar guarantees a good fit, even on larger necks. 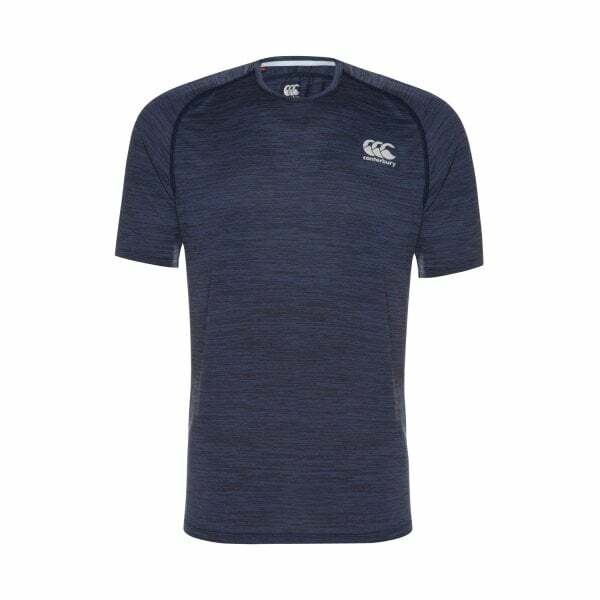 A great looking, form-fitting, high-performance training tee that sports the CCC logo proudly on the chest.